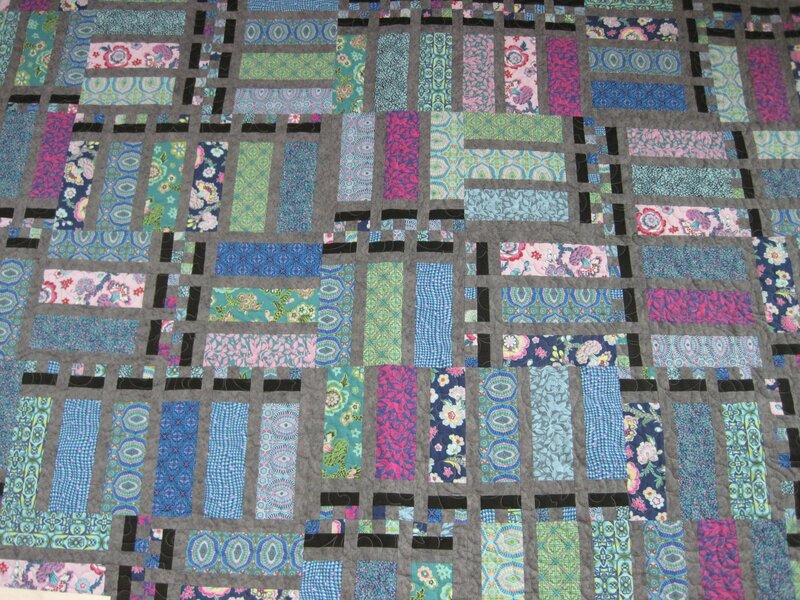 Use our kit or purchase your own fabrics to create a modern quilt. Our kit produces a bed size quilt 72" by 84". Other sizes are possible with your own fabrics. One simple block set in an unconventional manner results an unusual finished project.